I have a confession to make. I have a huge crush on Brendon Buchard. Brendon is a personal and professional coach who focuses on the development and motivation of high performing individuals. I have started listening to his podcasts when I am driving around Indianapolis. Not only does he share great advice on how to take your performance to the next level but he does it with a sense of humor and authenticity. I dig that. One day I was listening to his podcast and his topic focused on why people are scared to start their dreams. He stated that it is not that people are scared of the actual dream itself. The real issue is that people are often embarrassed to be seen by colleagues and peers as starting small and not doing big things. So to avoid embarrassment we choose to stay stuck in our current situation and ditch our dreams! How crazy is that! And then it hit me. My big AHA moment happened right as I turned onto Meridian Street. That was me too!! My ego and fear have been driving the bus since I opened the studio almost 2 years. I have been so afraid of what my partners and clients would think of me when I started a yoga studio and coaching business. Yoga, really? I saw the look in their eyes when I told them what I was doing. They looked at me like I had lost my marbles. But your such a smart girl they would say to me, are you sure you really want to do this? I was choosing to go from negotiating sale transactions for millions of dollars to mopping hardwood floors at night and folding blankets. I allowed my fear of failure and embarrassment to hold me back from stepping into my power and fully embracing my dream. I made the mistake of acting like the studio was a “side hustle” while I continued to legal work for my clients. I downplayed my passion and love for kOMpose and its mission by keeping the “yoga thing” on down low. Until now. I may have started a small, cozy yoga studio in Broad Ripple. But I did it because I wanted to DO SOMETHING THAT MATTERS. My purpose in life is to bring thoughtful solutions in a safe and compassionate manner to people’s problems- whether personal or in business. I have strived to do that in my legal practice for over 21 years. But I felt a calling to help people in a more meaningful way. At different times in our lives, we have all faced struggles, challenges and obstacles that have left us feeling battered and bruised. It is in those times that we often feel most alone. I know I did. Through my healing process I came to learn was that there are so many people struggling with similar challenges. But none of us should have to struggle alone. I started kOMpose to help and support people on their journey of life- whether through yoga, coaching or just being a friend. I wanted kOMpose to be a supportive community where people of ALL backgrounds could go and feel safe and empowered on their life journey towards personal growth and well-being. So I am super excited to share my BIG news with you!! 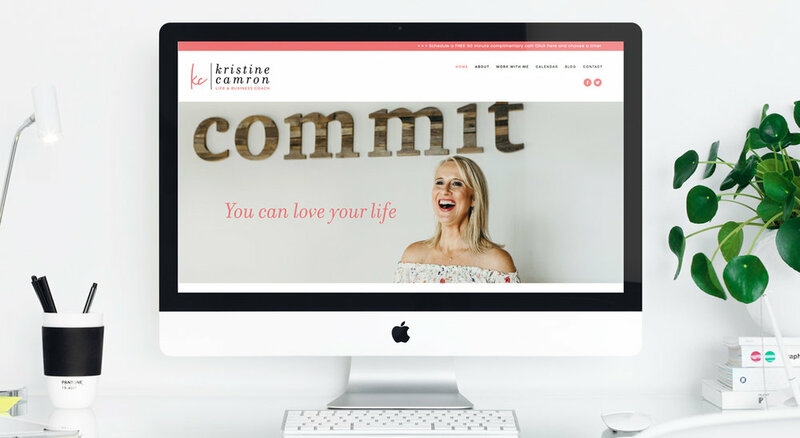 I am launching my coaching website this week! I am SOOO excited!! I have been working on putting a coaching practice together for almost 10 years now. It has been a LONG time coming. Coaching is something that I have always informally done. My friends have jokingly referred to me as the “Divorce Whisperer”. My personal experience of going through two difficult divorces has resulted in people seeking me out for advice, comfort and support during their divorce and transition. Rather than hiding in shame from my painful past I have chose to embrace it. I am taking my pain and making it my purpose by helping others going through difficult times and sharing what I learned and the practices I used to help me heal and create a new life. I am offering personal and professional development coaching services as well as various workshops. I have teamed up with my dear friend and soul sister, Michele Brown (yep- the one who helped me come up with kOMpose name) to put together a program called The Power of the Pause which is being offered by the Indianapolis Bar Association for continuing legal education (CLE). Whatever your dream is- whether it is starting a new business, going back to school or volunteering to help others- it doesn’t matter WHAT it is. It matters WHY you are doing it. When you DO SOMETHING THAT MATTERS, it doesn’t matter that you start small. It just matters that you start. People need what you have to offer. What are you waiting for? Get started!